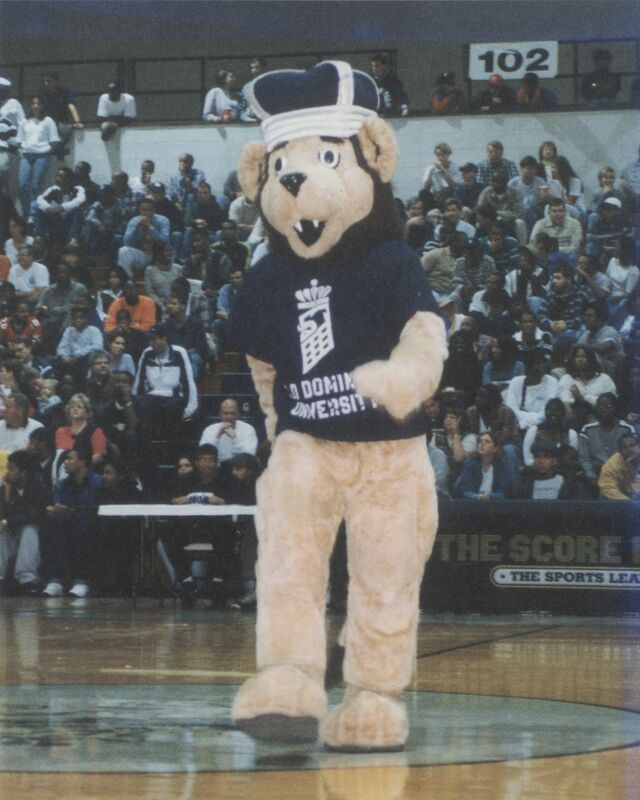 The current school colors for Old Dominion University (ODU) are dark blue and silver. When the Norfolk Division of the College of William & Mary was established in 1930, the school colors were green and gold as an homage to it’s parent institution in Williamsburg. To differentiate itself from William & Mary, the division added grey to its color palette. The athletic logo for the division was the green and gold W & M of William & Mary with a grey N for Norfolk. 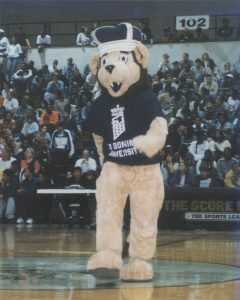 When Old Dominion College was created as an independent institution in 1962, the school colors were dark blue and white. 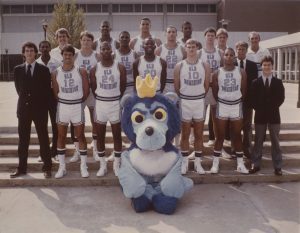 During the late 1960s, the blue became more of a pastel color, eventually turning into the official Columbia blue and white, which remained the official school colors until 1986. In 1986, the school colors changed from Columbia blue and white to dark blue and silver as part of a new branding campaign, which also included a new logo featuring a lion with a crown. The idea for the new color and logo change were inspired by a new president, Joseph M. Marchello, and a new spirit that seemed to be present in the students, faculty and staff. Along with the new school colors and logo, the university decided to update its mascot, Big Blue, as well. Mace & Crown, Old Dominion University.